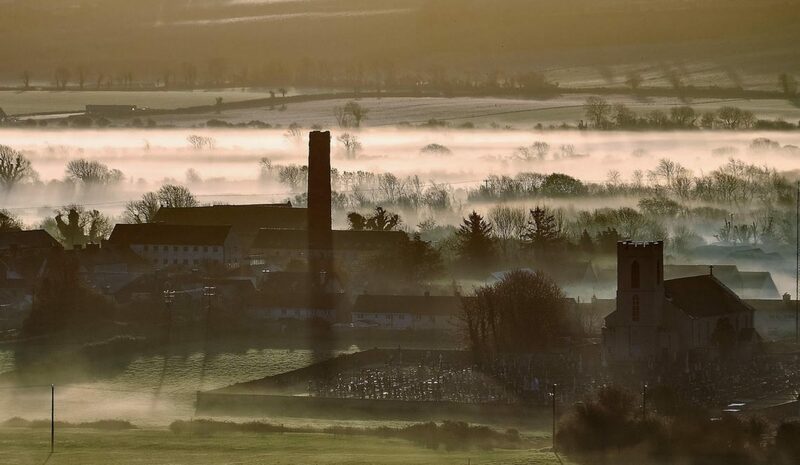 The period between 9th February 1920 and 8th May 1920 was an uneventful one for the IRA around Midleton, except for the organisation of companies in every town in the 4th Battalion area. Although the amount of arms and ammunition available was scarce, the local volunteers were alert for opportunities to supplement their stock of weapons. 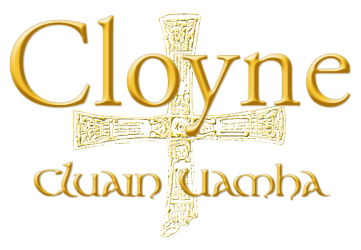 In April 1920 plans were made to attack and capture the barracks in Cloyne. Every volunteer around Cloyne was to be on the job, but the main brunt of the attack was borne by men from Cobh and Midleton. Even with the large numbers of men available success was not guaranteed, as the Barracks had been strengthened to resist attack with steel shutters put on all the buildings windows, front and rear, and the garrison had been increased. This was to be expected, as the RIC had already lost the barracks in Castlemartyr and Carrigtwohill to IRA attacks. The RIC Barracks in Cloyne would now be more cautious and alert, and the IRA plan therefore envisaged a determined defence. 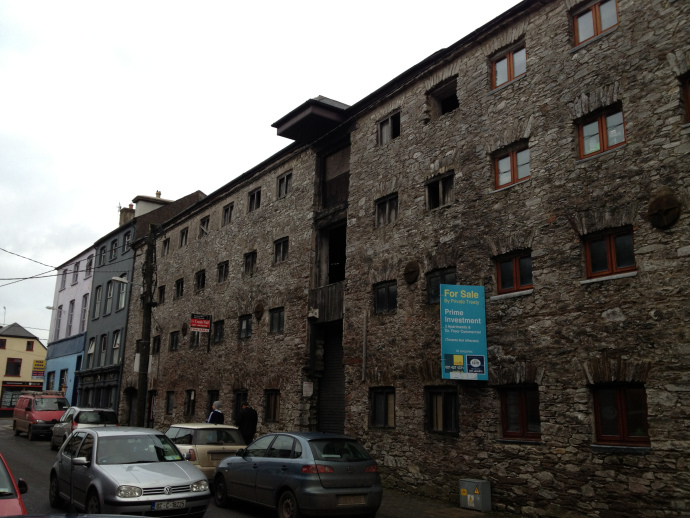 The three-storey building on Church Street, Cloyne, where the RIC Barracks was located in 1920. Volunteer Michael Leahy traveled to Brigade HQ in Cork and obtained additional rifles and grenades for the operation, which was planned for 8th May. It was a Saturday. Some members of the Midleton company were also members of the Gaelic League, and were taking part in a play that was going to be staged the following night in Cloyne Technical School. During the day men from the Midleton company began to ‘drift’ into the school carrying arms and ammunition, which were then hidden under the props that were to be used in the play. From about 8pm onwards, parties of volunteers were set to work blocking roads and cutting telephone and telegraph wires, thereby completely isolating the town. Men from the Cobh company arrived having crossed the harbour at East Ferry. They stood guard armed with rifles and revolvers at East Ferry to prevent British reinforcements from Cobh crossing to Cloyne via that route. Volunteers from Aghada blocked the roads from Fort Carlisle and the Coastguard Station at Rochestown Point. All other roads to Cloyne were blocked with felled trees and boulders, making the roads impassable. 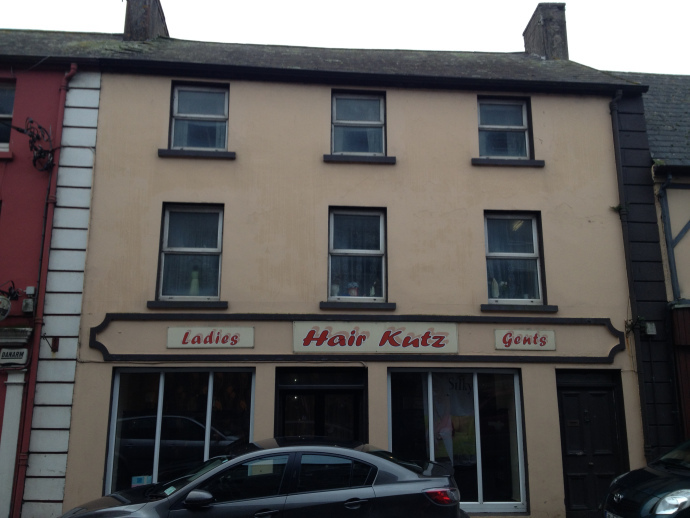 The RIC Barracks in Cloyne was located on Church Street, where ‘Hair Kutz’ is today. The plan was for the IRA to enter the two public houses on either side of the Barracks after closing time (10pm). Three of the men, Patrick Whelan, Jack Ahern and Donal Leahy, were sent into the corn stores directly opposite the Barracks. Whelan and Ahern were armed with rifles, but Leahy carried only a hatchet. Their job was to lay down covering fire- a difficult job for a man armed only with a hatchet! A small number of men were sent into Meade’s and Powers pubs on either side of the Barracks shortly before 10pm, so they could open the doors for other volunteers when the operation was due to commence, at 10.30. The plan hit a snag when Mrs. Meade refused to let the men in. After a few moments Diarmuid Hurley decided to break the glass on the door with an iron bar to gain entry; this alerted the Barracks to what was going on, and they began to open fire. 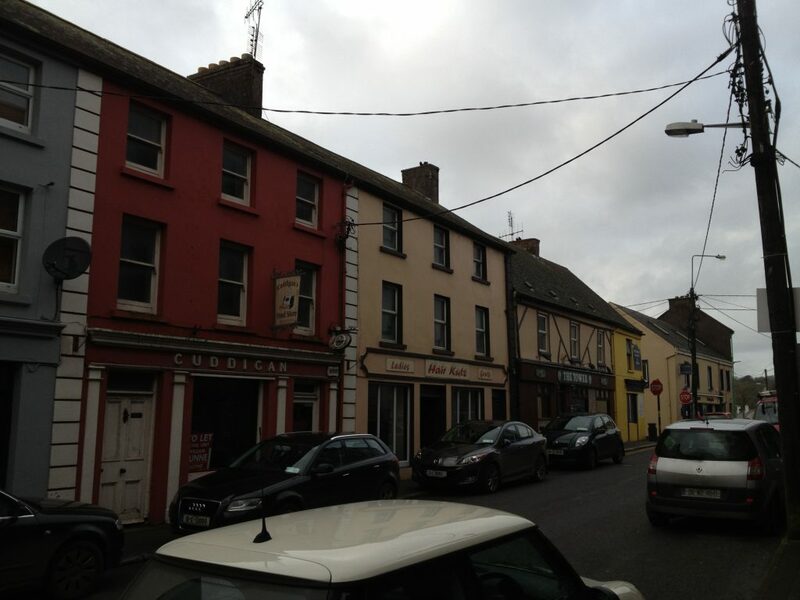 Hurley and his party of Manly, Joseph Ahern, D. King, Kelleher and Mick Desmond got into the pub and Mrs. Meade and her maid were removed to a place of safety in the town. Whelan in the corn stores shouted “Now Jack!” and Whelan and Jack Ahern began to fire down at the Barracks doors and windows. The RIC returned fire and fired verey lights into the sky to call for assistance. Inside Meade’s pub, Ring, Desmond and Kelleher went into the sitting room and began to lay gelignite onto the wall that adjoined the Barracks. Hurley and a few others went upstairs and began banging on the wall to distract the RIC, and draw their attention away from the shenanigans downstairs. The sitting room was evacuated and the gelignite exploded, but the breach created was too small. The RIC now began to fire back into Meade’s pub through the hole in the wall. Hurley had some gelignite left over, so the lit the fuse on it and threw it through the breach, causing the RIC to scatter into separate rooms to avoid the explosion. They next got a tin of petrol and poured its contents into a ewer, which they chucked through the hole, to be followed by a cloth lit by Kelleher. A blanket of flames soon began to engulf the Barracks. The blaze spread to Meade’s pub, where curtains caught fire, making the room untenable. The RIC Barracks (‘Hair Kutz’, the yellow building) was flanked by two pubs, Meade’s (the red building, now Cuddigans, to the left) and Power’s (now The Tower, to the right of ‘Hair Kutz’). While the volunteers in Meade’s evacuated the room, heavy rifle fire was still being exchanged on the street outside. The IRA men in Power’s pub, on the other side of the Barracks, succeeded in blowing open another hole in the wall with gelignite, but found that the raging fire prevented them from entering the building. At this point the garrison threw what looked like a white pillow case or a white piece of cloth out the window as a token of surrender. The RIC evacuated the building and were lined up on the street. Patrick Whelan ran into the Barracks in search of equipment, and discovered a large box of arms and ammunition which he managed to get outside. Flushed with victory, the volunteers began to sing ‘The Soldiers Song’, while the boys from Ballymacoda, who were in ‘great form’ began to shout ‘Up Ballymacoda!’. Mick Leahy, aware that identifying themselves was perhaps not the smartest move, quickly ordered them to stop. The victory at Cloyne RIC Barracks was elating for the volunteers of the 4th Battalion, filling them with confidence. It was one of the last attacks possible before the disastrous events at Clonmult, which would follow in 1921. This article is reproduced with kind permission of the The Midleton Archaeology & Heritage Project. The original can be viewed here.